Yes, this is the last installment of my trip report, departure day. Our flight wasn’t ’til late afternoon, so we fit in one last visit to the Magic Kingdom, hitting four of the classic attractions: Pirates, Haunted Mansion, Country Bears, and Small World. We also had lunch, eaten at a table in a fairly quiet courtyard at the Tortuga Tavern. Too soon, it was time to head back to the hotel to meet the limo that took us to the airport. As usual for a Walt Disney World trip, there were things we didn’t manage to fit in, like the interactive queue at Haunted Mansion. If we were willing to get up early and get to the parks when they open, we’d get more done, but we’d be tired and cranky, and that’s no fun. Maybe when we’ve been retired for a while, getting up on a schedule will be a nice change of pace and we’ll be at the parks earlier. We never swam in the pools at the Contemporary, or wore the robes in the closet there. I didn’t discover there was a light feature in our room until our next to last day—sort of like Mr. K’s marble lamp but with flat glass tiles. The biggest change since our last trip to the World was all the MyMagic+ stuff: the MagicBands and My Disney Experience app and FastPass+. The program is still in testing mode, and there were some glitches with our experience. After we’d made FP+ selections for our whole trip, the ones for the first part of our stay disappeared, and the only way I was able to get them back was to make two calls to Disney IT. Even then, those days weren’t quite right, as we were not able to change those FP+ ourselves but had to get a cast member to do it for us. For the other days, we were able to make changes through the app (and could have done at kiosks in the parks, too, I understand, though we didn’t try that). 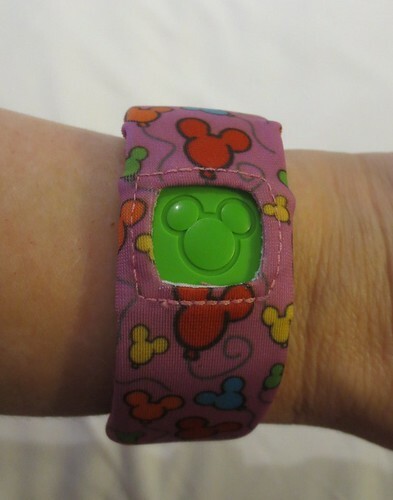 Our MagicBands pretty much worked as advertised: we used them to get into our hotel rooms and into the parks, to charge food and merchandise to the room, and to get onto attractions when our FP+ windows came up. We got one set of bands for each of the hotels; my two bands seemed to work interchangeably, but Mr. Karen’s did not. 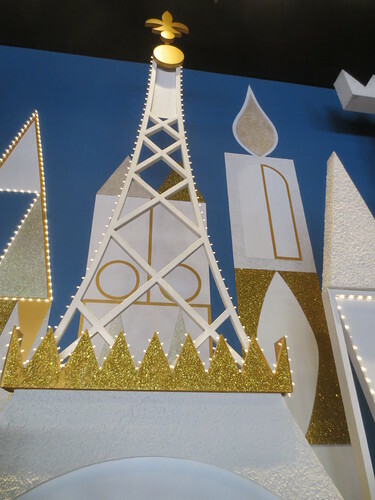 The best part of FP+ was being able to reserve slots for crazy popular attractions like Toy Story Midway Mania or Soarin’ without having to run and grab a regular FastPass (even we would get up early to get to the Studios to get Toy Story FastPasses back in the day). The worst part was having to keep to a schedule every single day (or else waste the FP+, which we did do a couple times), and keep track of that schedule. 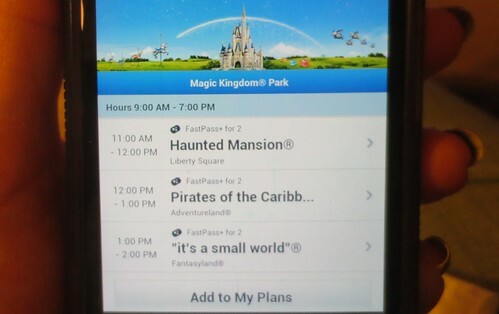 The idea is that you can bring up the Disney app on your phone to see what you’re doing, but it was much faster for me to just look at the hard copy spreadsheet I kept in my purse showing our plans for each day. I did need my phone to change FP+, though, so I couldn’t really unplug and enjoy vacationing without an electronic tether. I suppose the generations after mine don’t even consider going untethered— like the two teen girls I saw sitting on the floor at the World of Disney store with their iPhones plugged into a wall outlet behind them. My biggest regret of this trip was getting sick, which meant the last three days weren’t as enjoyable as they could have been. I can’t help but think I could have done something to avoid it—washed my hands better/more, touched my face less, used hand sanitizer, gotten in better shape beforehand, something. But maybe it was just bad luck. We still had a lot of fun, and I realize I’m fortunate to be able to take trips like this.